Having known an event which was experienced and finished by an ultra running friend in one of his trips/visits in the United States, I thought of the idea that local Pinoy runners can also do such an event without even going out of the country. What is really important in this kind of event is to have a period of 4 days which are declared non-working holidays and the place where one can have a varied routes for four marathons in four days. Of course, there is also the need to have some runners who are brave enough to try and experience what it is like to run one marathon distance each day for four consecutive days. I though of my birthplace, Laoag City, as the place to conduct this event because it has a lot of road networks that converge to the center of the city. Having been familiar to the road networks in the place, I decided to have this event held in the city. There is no harm in taking the risk of conducting this event even if there is only one or two runners. A simple Facebook Event Page was created just to inform the “Public” and my FB friends about this event. And I did not personally contact each and every ultra running friend to be invited to join this event. As I said before, I create an event and I let runners join my event in their personal volition. It is inherent that most of my friends were excited to find out that this Quad Marathons is a new event and most of them signified to join or simply clicked the button “Interested”. But knowing the real attitude of the Local Runners and even PAU Members, who are really good friends, I did not expect much that most of these people will be joining this event. The bottom line here is, I really don’t care! After a simple coordination with the LGU of Ilocos Norte and the Provincial PNP of Ilocos Norte, the event was a GO! And the rest is history! It has proven once again that Local Pinoy Runners can match the endurance and stamina of other runners in other countries. The Quad Marathons can be done even in simple logistics and needs for the runners. Additionally, it is proven once again that I don’t need Corporate Sponsorship if I want an idea to be implemented and put into action. To prove a point, the Bataan Death March 102K Ultra Marathon, the event that started all these “craziness” in ultra running in the country, had survived for almost 10 years without any Corporate Sponsorship! 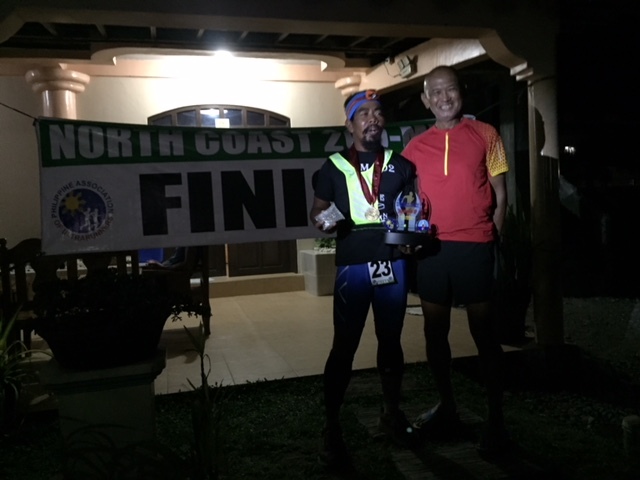 I would like to thank the following ultra running friends: Dondon Talosig from Tuguegarao, Cagayan; Gibo Malvar from Piddig/Sarrat, Ilocos Norte/Paranaque, Metro Manila; Rod Losabia from Metro Manila; Tess Leono from Metro Manila; Rose Betonio from Metro Manila; Kathleen Piñero from Metro Manila; and Laurice Rogel from Metro Manila who were the “Pioneers” of this event. These runner-finishers will receive appropriate Awards & Commendations for their feat during the 2018 BDM & PAU Get Together Party. I would also thank May Santos from Marikina, Metro Manila for being the Recorder/Marshal/Official Photographer of the event. 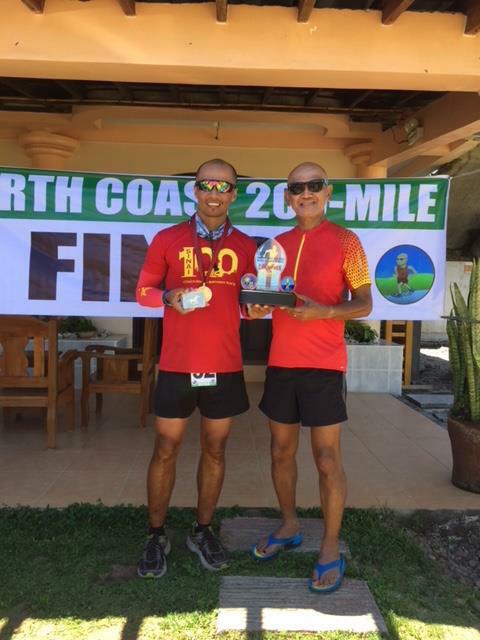 I would like also to give thanks and commend the support given by Numeriano De La Cruz and Joaquin Bordado of Team Kimat Running Club of Ilocos Norte. Lastly, to my Personal Staff and the Support Crew of each runner who made sure that all the Logistics/Administrative needs were made available during the event. As a runner-participant of this event, I was able to prove my running philosophy in order to inspire others to run—“If I can do it, then, you can do it, too!” If want to create an idea, make sure you can do it so that you are a reliable and consistent person! As per my observation on the runner-participants, I could see that each of us have that tendency to be competitive with one another even if we were having fun, enjoying the environment & scenery of the route, having a “bonding time” among friends, and with the experience of being attacked by street dogs in some of the populated areas along the route. Each runner has a different style of dealing with these street dogs—some would shout back at the barking dogs; some would simply run faster away from the attacking dogs; some would bring a stick to ward off the dogs; and some would just blind the dogs with their powerful handheld lights. However, I would simply ignore and never looked at the dogs when I would pass infront of them. But the most effective way to prevent the dogs from biting you is to NEVER use any headphone or play your music/ playlist during this kind of event. I should know because in one of my adventure runs, I was bitten by a street dog while listening to my playlist on my iPod! Also, one of the runners have learned some lessons in marathon racing where one should be light and simple if you want to have a faster time in a marathon race! Oh, yes, I was the official “sweeper” of the event to make sure that all my runners would be able to finish each event within the cut-off time of 6 hours and 30 minutes. I am glad all the runners had successfully finished the race! I guess, in my races, that is one of the duties of the Race Director! Personally, this is how I felt during the period of four days. I think the rest of the runners would have to agree with me on my feelings. Before the start of the event, I was not sure if I would be able to have the stamina and endurance to finish the whole event. After I finished the first day Marathon, I was exhausted due to the hot and humid weather even if it was then in the evening and early morning. I was already thinking of a reason or alibi where I would simply sit back in my car and supervise the runners for the remaining 3 marathon races. But I though that ones personality is being tested here in this event. So, I was not at all excited for the 2nd day event. However, after 1-2 kilometers of running on the 2nd day’s route, we were met by cold air and winds coming from the mountains east of Laoag City and it was very refreshing. The cooler temperature made us faster to finish the event on the 2nd day. On the start of the 3rd day, I was silent and apprehensive as I told to the runners that the course will be darker due to the absence of street lights along the route and some portions have road constructions. But the runners did not complain and they registered a faster time, too! After we finished the third marathon, I brought all the runners for a day tour along the last day marathon course and they were able to familiarize some locations and the overall elevation profile of the route. Aside from being the last event, knowing the course on a walk/drive-through boosted their morale to finally get things done immediately! The experience running in the rain for about 10-12 minutes at Km 5-6 was really exhilarating and enjoyable! There were no complaints from the runners and we finished the event with a much faster time. For the first two days, we used the front portion of the Provincial Capitol of Ilocos Norte as the Start/Finish area since we did not cross the Laoag/Padsan Bridge or River. But for the two remaining days,we changed the location of the Start & Finish at the LAOAG Landmark at the foot of the Laoag City Bridge. 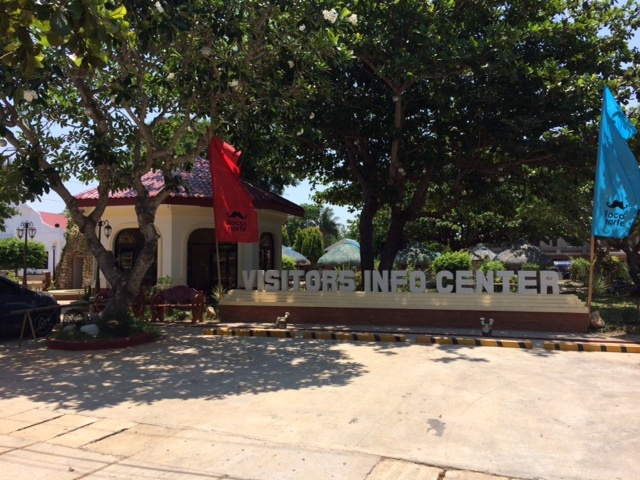 The variety of the locations of the Start and Finish gave a very nice documentation on the exposure of Laoag City and the Province of Ilocos Norte. These are my assessment and conclusion on this event: First, it takes a veteran marathoner or an ultra runner to finish this event. Two, even considering the difficulty of the elevation on each course, the tendency of the human body to be faster and stronger as the event progresses from day one to day four. Three, since the Aid Stations are the Support Vehicles of the runners which are mobile that “leap-frog” ahead of the runners, one has to be very good in his/her nutrition and hydration strategy. And lastly, our human body is a wonderful God-given “machine” that has a way of recovering from pain & exhaustion through proper nutrition and rest & recovery within a span of 24 hours. Next edition will the same schedule as we had this year where the last day event culminates with the Independence Day of the country. Once again, congratulations to all the runners, support crew & staff, and to our volunteers/marshals. The second day Marathon Event started at 11:45 PM of June 9 (Friday) and expected to be finished at 6:15 AM of June 10 (Saturday). 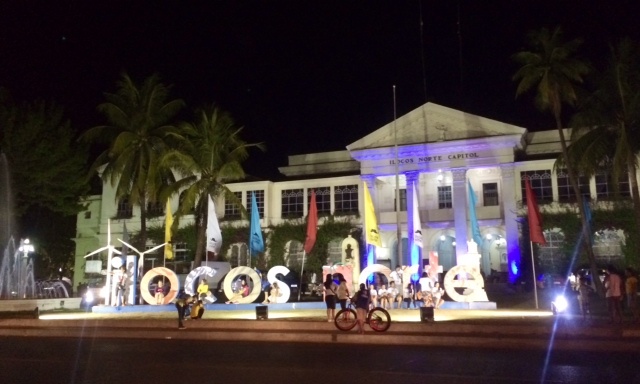 The route brings the runners to the eastern towns of Ilocos Norte. The runners would be able to pass the municipalities of Sarrat (first town after Laoag City) and the Poblacion of Piddig, Ilocos Norte (location of the turn-around point). The Municipality of Sarrat is noted to be the Birthplace of the Former President Ferdinand Marcos who ruled the Philippines for 20 years—8 years as a duly re-elected President and then another 12 years under Martial Law. The town has also a much-improved Public Park with an old Spanish Church. The Municipality of Piddig is also noted in history as the place in the country where the people revolted against the Spaniards because of a locally produced wine from sugar cane, called “Basi” in 1807. Up to the present, the place is still noted as the source of the Best Basi in the province. The course is flat for the first 9 kilometers and then an uphill climb for about 200 meters at Km 10 which levels off until reaching Kilometer 19 which has another uphill terrain at the Poblacion (center) of Piddig.. 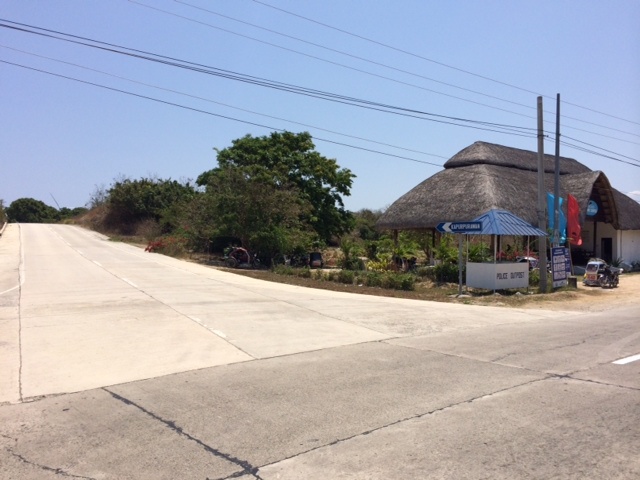 The 21K turn-around point is the Solsona-Piddig Highway Kilometer Post #507. 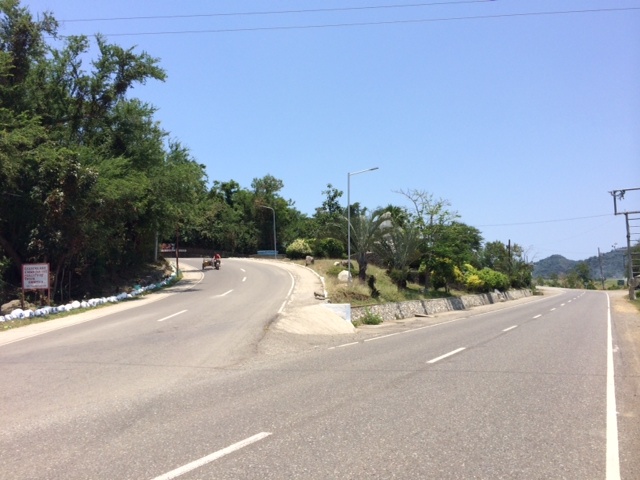 As compared with the first day route, this route has a cooler and windy environment because of big trees along the highway and the cooler winds coming from the mountain ranges located at the eastern part of the province of Ilocos Norte. Being the “sweeper” of the event, I could see who are the runners that are leading once they are on their way back to the Finish Line. Sometimes, if I see and feel that the last runner is lagging behind, I try to run in front or ahead of the runner so that he/she is forced to run faster to catch me. After the awarding of the Finisher’s Medals and Shirts, we had a group picture and breakfast from McDonalds Fastfood courtesy of one of the runners. Tonight will be the third Marathon Event in a different course which will test (again) the determination and endurance of all the runners. Seven of my ultra running friends registered for the First Edition of the BR’s Quad Marathons which is held on June 9-12, 2017 with start and finish in Laoag City (Ilocos Norte). A day prior to the start of the event, I decided to join the runners as a runner-participant and at the same time the “sweeper” for the event. However, at the back of my mind, I did not want anybody among from friends to DNF this event. The four daily marathon events is scheduled to start at 1:00 AM every day but with only a handful of participants, I advised all the runners that we might start earlier as soon as all the runners are already at the Start Area. Except for one runner, the remaining seven runners stayed in our house for easier control and management. Each of the marathon events has a cut-off time of 6 hours and 30 minutes. If a runner finishes a marathon event beyond the cut-off time, the runner is declared DNF and could not join the succeeding events. Every official finisher each day will receive a Finisher’s Medal and Shirt. If the participant completes or finishes the four Marathon Events, he/she will receive a Finisher’s Trophy and a Finisher’s Certificate. 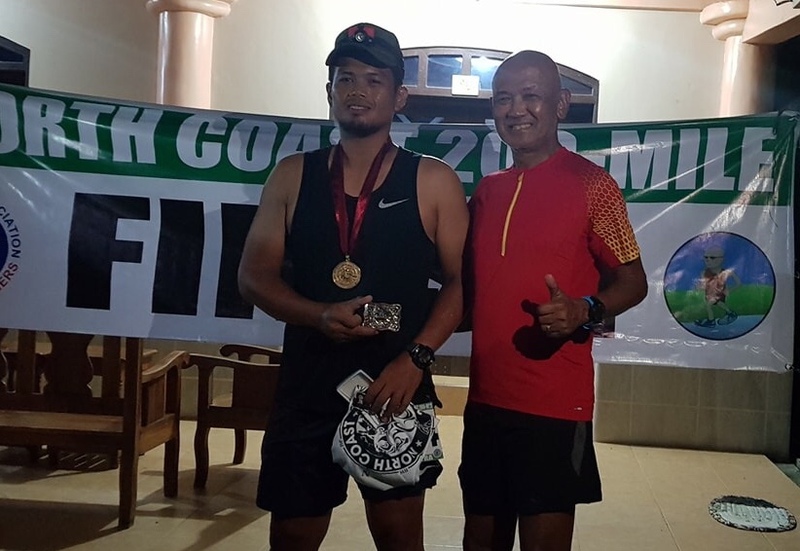 The first marathon event started at 12:30 AM and the course covers the 21K distance from the Ilocos Norte Provincial Capitol in Laoag City to Pasuquin, Ilocos Norte and then back to the Starting Area. 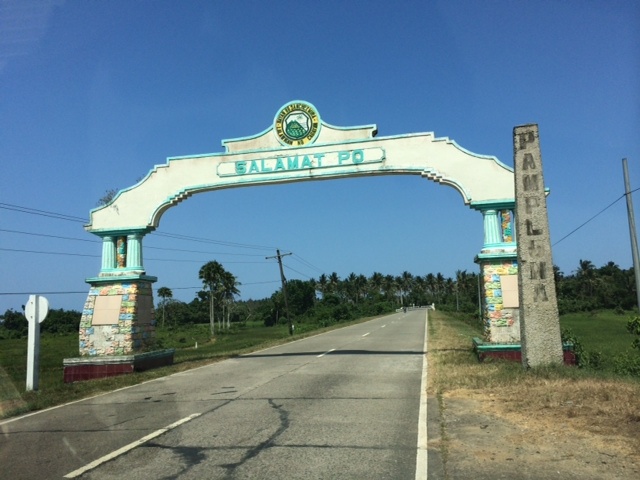 The route goes north along the Maharlika Highway passing the towns of Bacarra and Pasuquin. The turn-around point is at the Highway Kilometer Post #508 where a Marshal is located. The Marshal must take a picture of the runner once they reach the turn-around point before going back to the Starting Area for the Finish. For the logistics support of the runners, there are two roving Support Vehicles which could provide water, soft drinks, Gatorade, and bite foods for the runners. Usually, these support vehicles are located every 3 kilometers. In this edition, these support vehicles are also individual support vehicles of some of the runners. The course is relatively flat with a few elevation gains at Kilometers 4-5 and on the way back, Kilometers 37-38. However, on this particular night, it was hot and humid with no wind even during the early morning. After the awarding of Medals and Shirts, we had some group pictures taken. After breakfast, we went to the beach for a swim and had some sight-seeing; and have some fun! We hope that we will be ready again for the 2nd Marathon Event before midnight! Congratulations To All The Finishers! Thank you for your support. See you in the next edition (2017)! 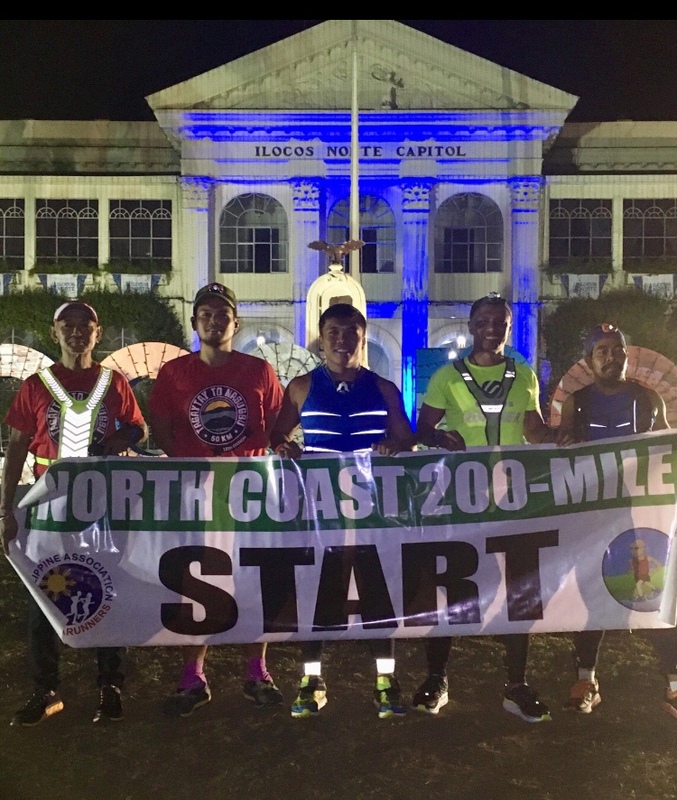 The race starts on Midnight of May 10, 2017 in front of the Provincial Capitol of Ilocos Norte which is located along Rizal Street in Laoag City. From Rizal Street, runners will go on easterly direction until they reach the second street intersection and then TURN LEFT along the so-called BACARRA Road. The Bacarra Road goes on a northerly direction towards the town of Bacarra. 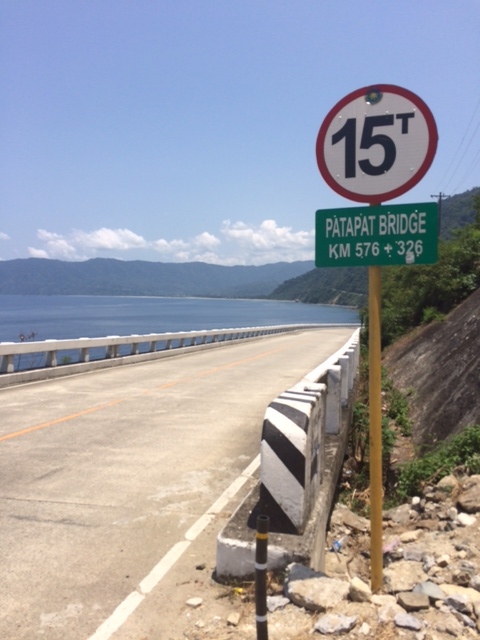 After passing the Bacarra Bridge, the runner follows the Highway towards the town of Pasuquin and by-passes the Poblacion of Bacarra. The runners will pass the town of Pasuquin as he/she proceeds to the town of Burgos. 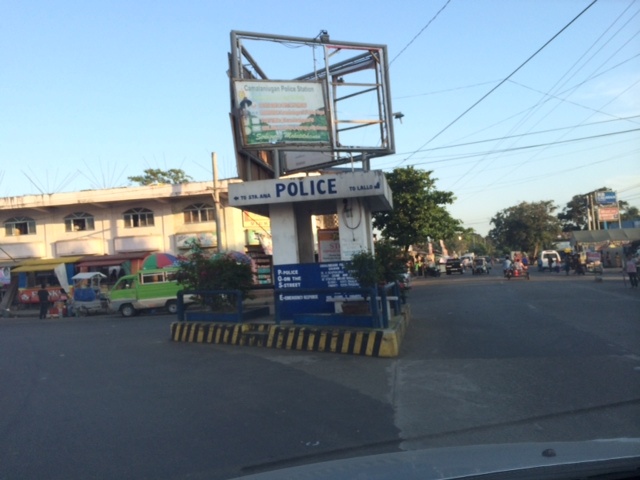 The Kilometer #50 Checkpoint will be located in front of the Burgos Municipal Hall. After passing the Windmills in Burgos and Bangui, the runners will be on their way to the Boundary of Pagudpud. 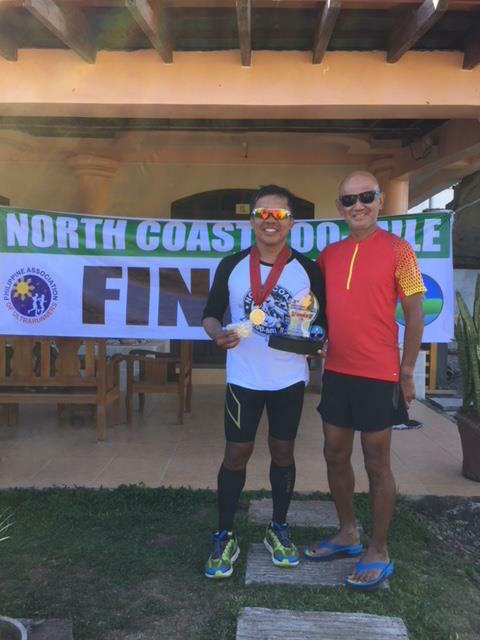 Once they reach the intersection/junction going to the Poblacion of Pagudpud and towards the Province of Cagayan, runners would have covered a distance of 72 Kilometers. 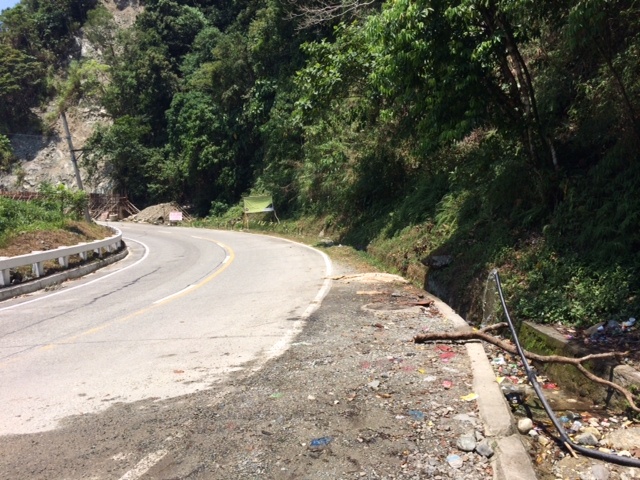 After 10 kilometres, there is a flowing water from a hose from the side of the mountain which is very near to a road repair construction due to mountain slides. This is the Kilometer 100 mark of the route. 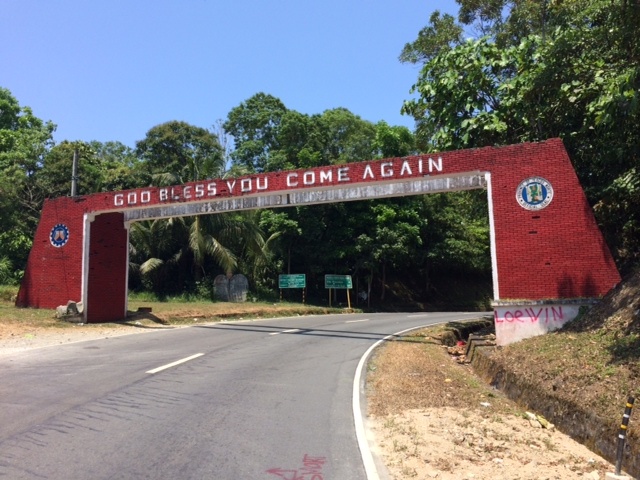 After 2 kilometres, the runners will reach the Ilocos Northe-Cagayan Boundary Arc (Kilometer 102). 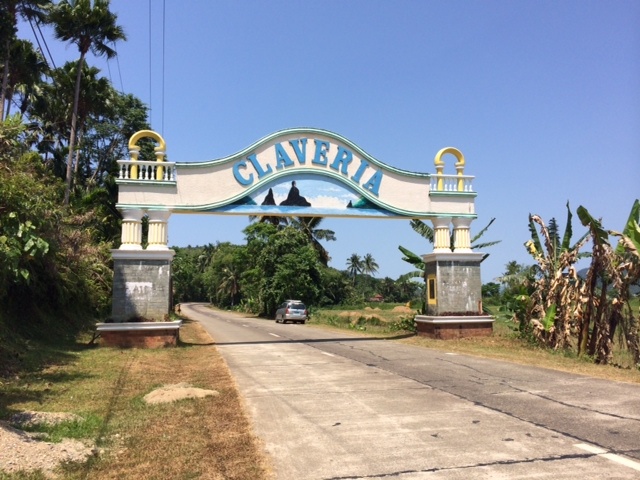 From this point, runners will be going downhill towards the town of Santa Praxedes and to the plains of Claveria, Pamplona, and Abulog until they reach the famous Magapit Bridge, the Longest Suspension Bridge in the country. The Pamplona Welcome Arc is Kilometer #150 and the Pamplona Poblacion is Kilometer #160. 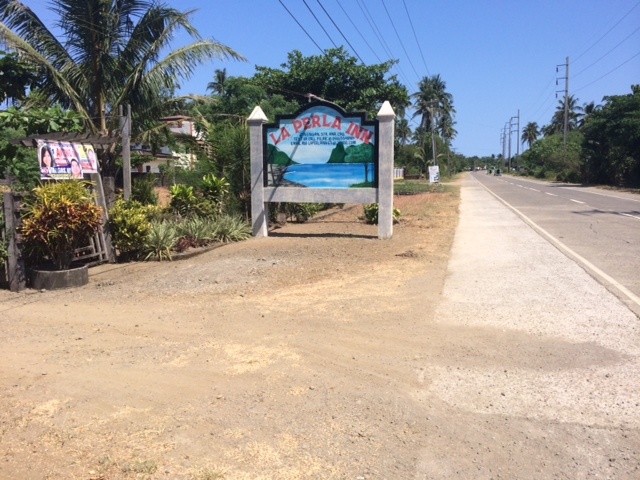 Eight Kilometers before the town of Allacapan is marked as Kilometer #200. 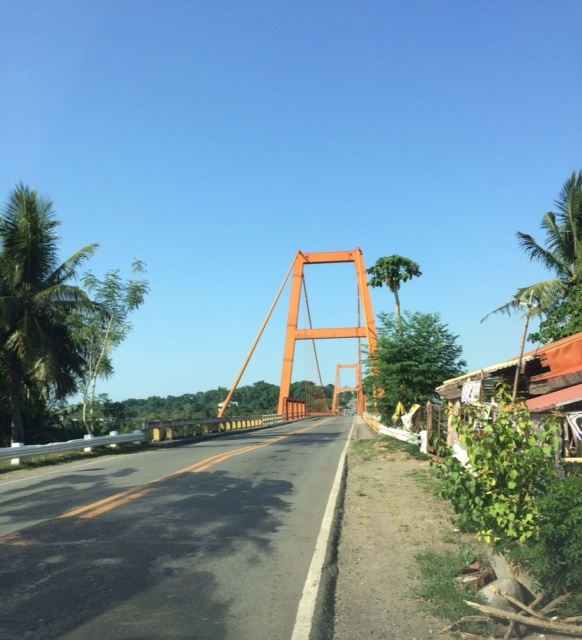 Upon reaching the Magapit Bridge, the runners would have reached Kilometer #226. After crossing the Magapit Bridge, runners will TURN LEFT towards the town of Lal-lo, Cagayan and proceed to Aparri, Cagayan. The runners will pass the DUGO Intersection (Dugo, Camalaniugan) on their way to the direction of Aparri until they will reach Km Post 0578 which is 4 Kilometers before reaching the town of Aparri. 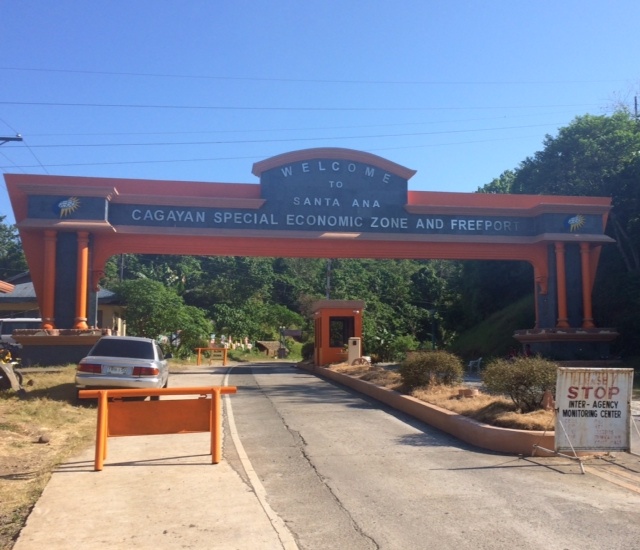 At this Kilometer Post, runners will TURN-AROUND back to the DUGO Intersection and then TURN LEFT towards Santa Ana, Cagayan. 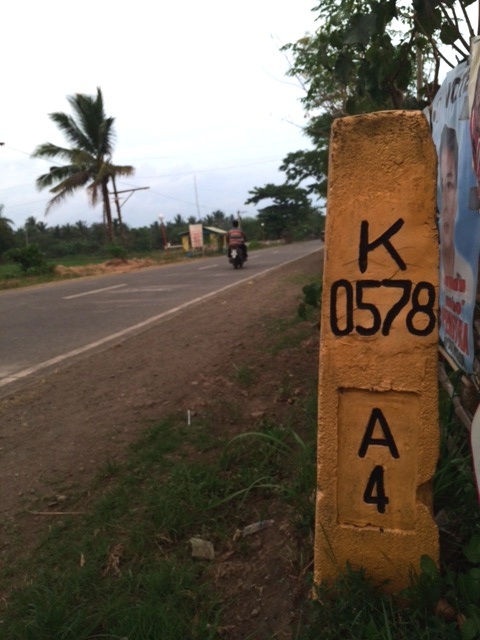 The DUGO (Camalaniugan) Intersection is Kilometer #244.5 and the Km Post 0578 which is the TURN-AROUND point is Km #251. Upon reaching back to DUGO after coming from the TURN-AROUND Point, the runners should have covered a distance of 258 Kilometers. From the DUGO Intersection to the Finish Line in Santa Ana, Cagayan will be a long-stretch of flat road of about 62+ Kilometers. 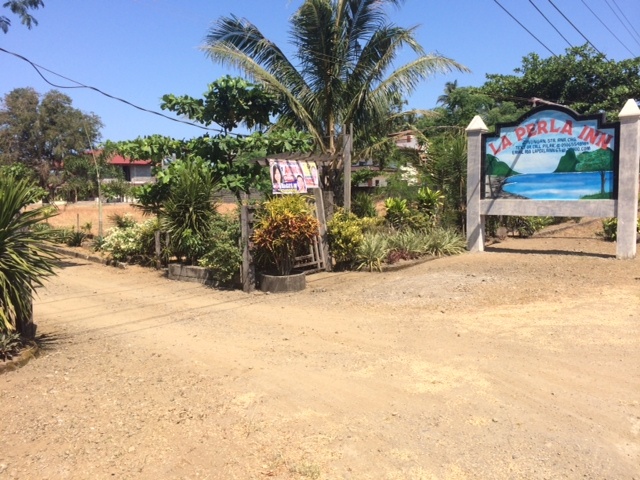 The Finish Line will be at the LA PERLA INN which is 10 Kilometers away after passing the Santa Ana Welcome Arc.